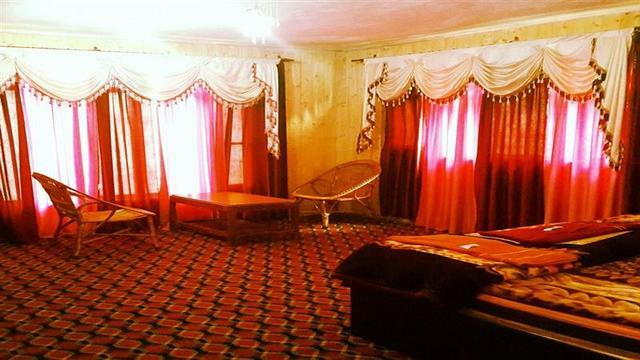 "Welcome to Glacier Heights, Sonmarg - Kashmir"
Hotel Glacier Heights, Sonamarg, is a perfect venue to be away from the hustle and bustle of city life. Surrounded by lush greenery and snowy mountains, this hotel invites patrons into the world of peacefulness. Its well-maintained rooms, warm hospitality and offering of essential amenities offer a relaxed stay. When you come to Sonmarg you are treating yourself to a real escape. Whether you want to just chill out & relax or indulge yourself in Rafting, Trekking, Fishing or some other exciting activity its all here. One of the Kashmir's most popular hill station, Sonmarg is also known as "Meadows of Gold". 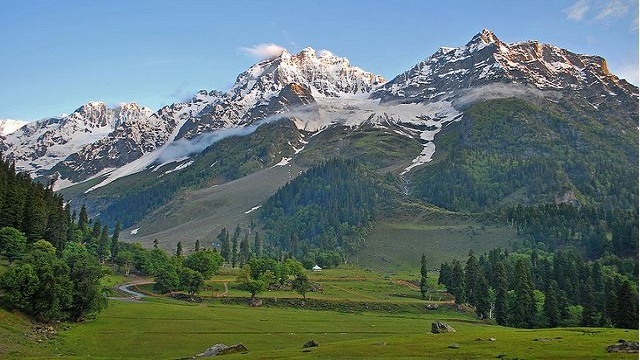 Located at picturesque drive from Srinagar, Sonmarg is base camp for Amarnath Yatra. A large number of Bollywood movies have been shot in Sonmarg. 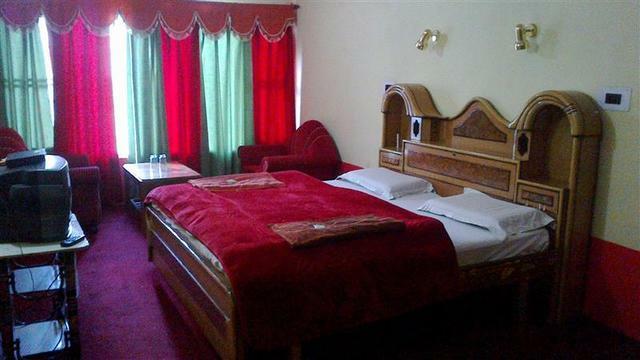 Furnished with all amenities, Hotel Glacier Heights Sonamarg is the picture of quality & comfort. We have 36 Deluxe rooms facing River Sindh from one side & Thajwas Glacier from another. All the rooms have Flat screen LCD TV with satellite connection.Wi-fi Facility,Hotel,s own generator,Intercom Facility Well presented, newly refurbished guest rooms with quality amenities will ensure a good night's rest and pleasant stay. You'll love the plush comfort and impeccable service on offer at Hotel Glacier Heights. Our Restaurant serves sumptuous Indian, Continental & Kashmiri Cuisine to cater all kind of tourists. Housekeeping attention twice daily makes you feel like you are in your own home. We visited this hotel for 1 day on 2nd May. Hotel is placed among the snow clad mountains. Good view of the Valley. Just on the Sledging point. Rooms are good with hot blankets and room heaters available. Staff is co-operative and supportive. Improvements required in Food and amenities. Overall good to stay. I would recommend everyone to Stay at Sonmarg for 1 night instead of going back to Srinagar. Its an amazing experience to be among the snow. It was a short stay. 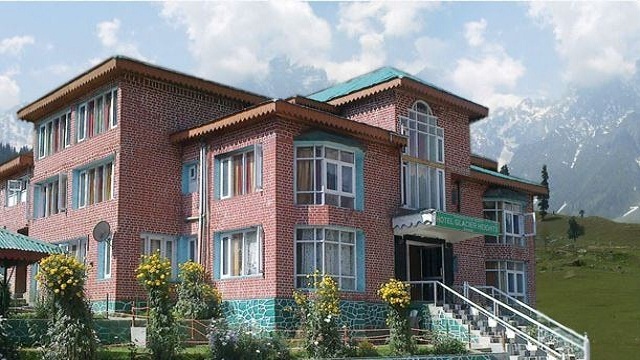 We were travelling from LEH to srinagar so instead of staying at Drass or Kargil we opted this hotel for night stay as next morning we have to catch our flights from srinagar. Wooden style very old hotel with cozy rooms having excellent valley and mountain view. They have restaurant serving variety of food. Staff was very helpful as they did helped us loading and unloading of entire luggage in the night and back in the morning with asking any tip. Overall good experience. The hotel is placed at higher altitude than the market place and the main road that pass through the valley. Whole of the valley can be seen from here. Lush greenery, snow covered mountain and the pine forest on the back. There were lumps of snow inside the hotel premises. The glacier point is not far away but we opted to a hire local jeep. Some were found on pony ride to that point. We stayed here for a night. Location: The location is excellent. It has a 180 degree view of the mountains and glacier. The sind river is just across the street and the market at the doorstep. Food: We were on CP plan and when we went for dinner we found they only had buffet, no Ala Carte options. We just wanted some rice and dal. The manager told us we could eat only rice and dal and pay them whatever we felt like. Food was ok. The morning breakfast was also average. © 2019 . Designed & Maintained By - AsiaTech Inc.